Welshman Rhys Davies won his second Challenge Tour title of the season with victory in the Fred Olsen Challenge de Espana on the Canary Islands. Davies held off a spirited charge from Australia's Geoffrey Drakeford to finish two shots clear at 22 under. 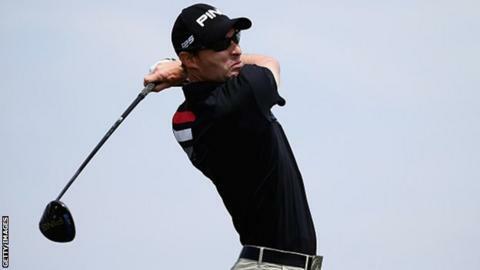 The 30-year-old also won May's Turkish Airlines Challenge, his fourth career win on the Challenge Tour. "It's my second win this season so that's great," Davies said. "Once I've enjoyed this I'll regroup and try for a third. "It's just really nice playing well again. I haven't played well for a number of years but have worked hard and it's nice to see the results." Davies was ranked 44th in the world in 2010 before falling to 181st place in 2014.